Blossoming Beauties on YouTube reviewed our Virgin Brazilian straight Hair. This YouTuber likes to keep her hairstyles fresh and new and tends to switch up her look a lot! This time she choose our Virgin locks and we’re so glad she loves them. Brazilian Weave are characterized with its versatility, full body, texture and beautiful bounce. It is gotten from the pacific area of Brazil and it comes in different natural hair colors and lengths. It comes in different textures :curly, wavy and straight although the straight texture cannot be said to be the bone kind of straight as it always has little curves embedded in it. I bought 3 bundles in 18 inches. The hair is good quality but the ends are thin. My hair that I received was so flawless. I have gotten many great compliments on my hair. The shipping time was perfect with various discounts applied. I will be doing a promo video for you all so be on the look out. 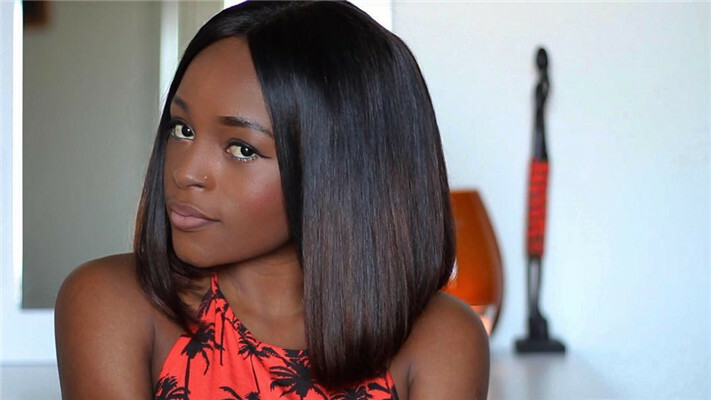 We love the video tutorials she did on her channel with our Virgin Human Hair. We’re glad she feels this way given that is our goal:for you to enjoy your extensions and style them as much as you’d like. Are you in search of what will help ease your worries over what to do with your hair? Are you confused as to which weave is the best that you should make use of? If your answers to these questions are in the affirmative then you have gotten to the place where your answers will be solved as virgin brazilian extensions are believed to be the best for your hair. 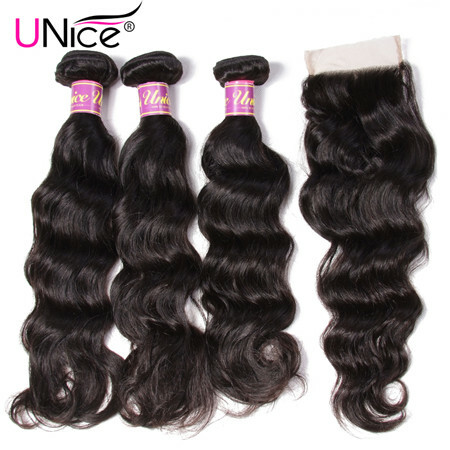 High Quality: Made of imported 100% Brazilian virgin human hair, which is very suitable for long term use. Can be dyed, bleached, curled, straightened and restyled as your like and can last about one year with good care. 100% Brazilian unprocessed virgin hair cut from one donor directly, full cuticle aligned, no chemical process. 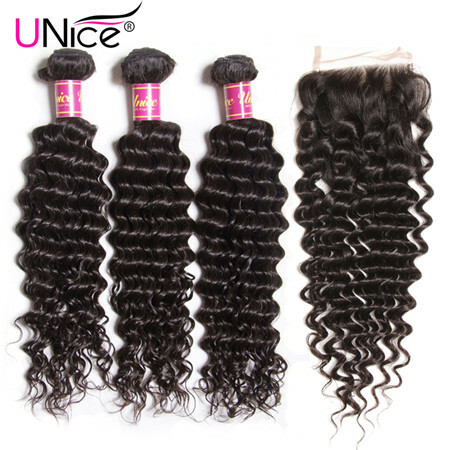 Strong and well double weft constructed, No Shedding, no tangle. lasting silky look and feel soft. Hair Bundles Weight: 95g-105g/Bundle (3.3oz-3.5oz/Bundle), Multiple choices,here is my suggestion:10-20 inch,order 3bundles, over 20inch, order 4bundles for a full head. a. They shine and bounce like your natural hair and in the process will never allow anyone know that you are having a weave on your hair. b. It lasts longer than the other types of human hair, it is durable (this includes the Indian, Japanese and Malaysian human hair types). c. It can be treated and styled just the way you would your natural hair. d. It can also come in a clip - like manner which allows you the privilege of clipping it on to your hair when you want to make use of it and removing it when you are no longer making use of it. e. It can be layered, straightened or trimmed by your hair stylist just the way you love it. This will further give you a new and unique look. f. It is 100% natural and the cuticles are always in place. 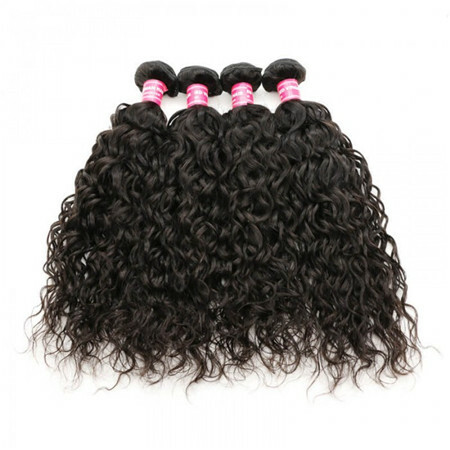 g. It is easy to maintain and style because it does not mat or tangle like some other lesser quality human hair. 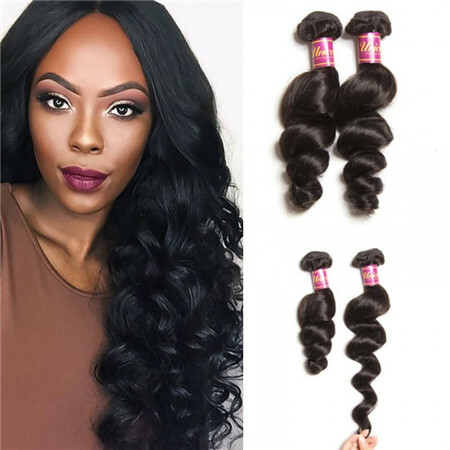 h. Brazilian hair is always full and versatile and this helps reduce the bundle of human hair extension that you will need to make use of when making your hair in order to make it appear full, bouncy and shiny. i. Brazilian human hair is unique because it blends with different ethnic's hair textures whether the relaxed African hair, the Caucasian hair or the relaxed African American hair. 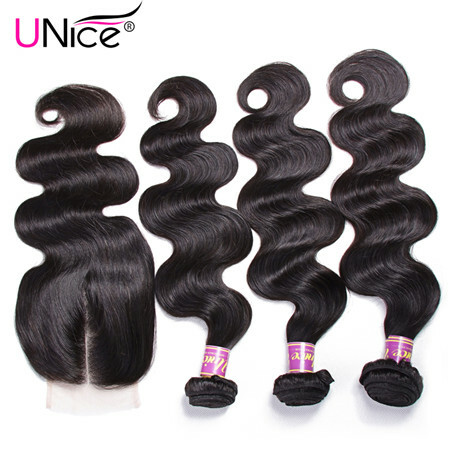 Whether you are looking for straight, wavy, body wave, or curly virgin Brazilian hair, know that you can always count on the hair extensions, weaves, and lace closures offered by unice Hair Company, Cod. Get in touch with us today to try our products and see just how much changing up your hairstyle can change your looks and affect your confidence positively! We look forward to helping you achieve a more stylish and beautiful you. 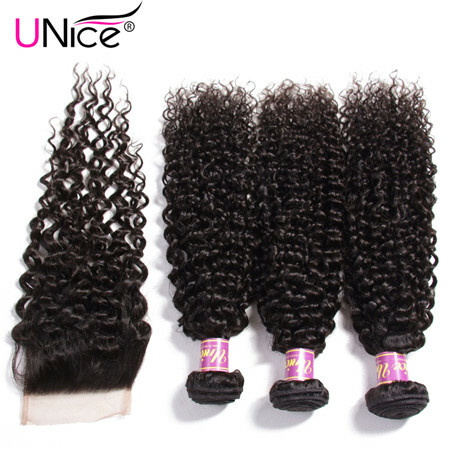 If you want to get more high-quality brazilian human hair,here you are.